Sellacious has got its own menu manager. 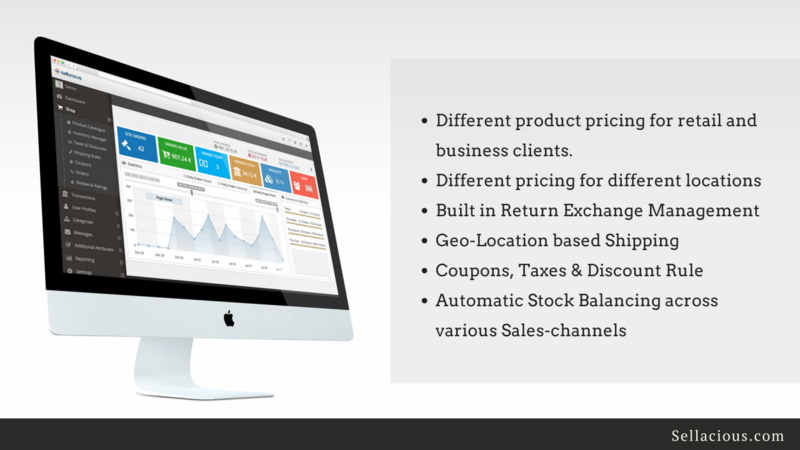 Now, You can manage back-office menu easily with Menu Manager in back-office. Customize Sellacious menu in clicks. Almost 90% of the sellacious application is now Multilingual ready. Offer it in your language. Products filter is now a module in front-end. Place it where you need. You can now set Style Options for all special categories and not just core shipped ones. Improved Products-Cache for faster frontend and backend. Almost 300% Faster than 1.4.7. Various product modules with multiple layouts options. Finder module to allow sellacious products using Joomla advance search utility. Improved Email Templates management with "To", "Cc", "Bcc" and "Reply To" email options for each template. 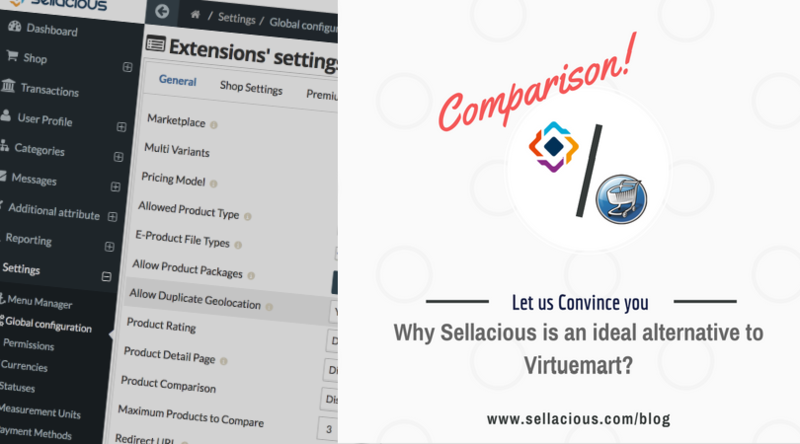 After first install now sellacious asks you the basic options that helps you to setup your sellacious shop the way you want to use it in a quick and easy way. SEF URL improvement for better and readable frontend URL. Choose your own SEO friendly URLs now and create them via Joomla menu manager. Easily duplicate existing product in a click. Several UI/UX improvements including more informative product catalog. 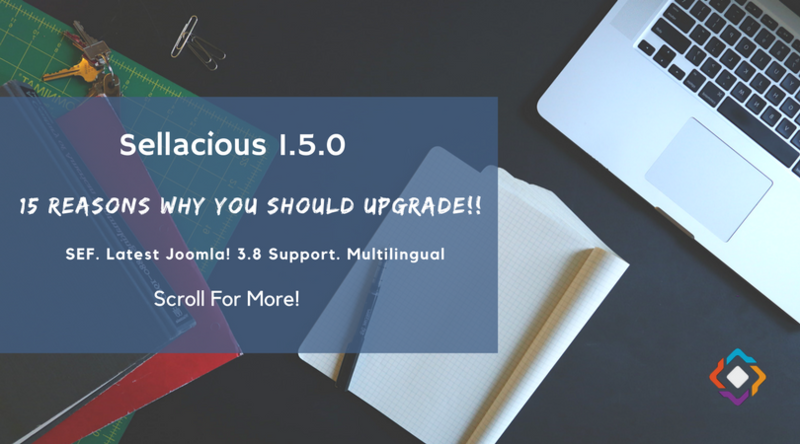 Fully compatible and works perfectly with the new version of Joomla! 3.8. More than 200 other small improvements and bug fixes. For Premium Users: Completely revamped products, images, users and orders imports supporting plugins to handle Custom Import if needed. Blazing fast Product Import from CSV files using Import Plugin. Now, Import Users, Orders and Export them with ease. There is a lot that you can do for Sellacious, And we are working everyday to make it even better and convenient for you. We are all ears and excited about your suggestions, Let us know what you think about the new version and what all do you expect in coming versions. Write to us in our community forums. Also, Don’t forget to follow us on our social channels! Stay Updated.